Holt Filters is dedicated to making your air filter purchase quick and easy so you can get on with the rest of your day. With 30 years of experience and over 100,000 products in stock, we can do that for you better than any other filter supplier. Whether you need commercial air filters for your condo tower in downtown Tampa or a single 5-inch residential filter for your bungalow in St. Petersburg, we’ve got you covered. 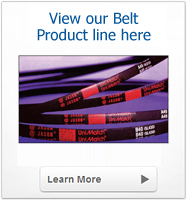 Along with the pleated, disposable, metal mesh and fiberglass air filters that we carry, our inventory includes a complete line of HEPA filters, odor-reducing filters, filters with a range of MERV ratings, bag air filters, v-belts, timing belts, and more. 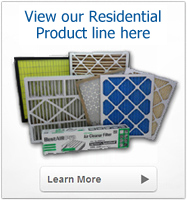 Our residential air filter inventory alone includes more than 780 varieties. 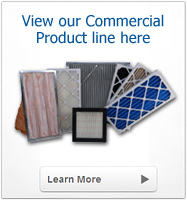 In addition, Holt Filters can custom fabricate an air filter for your rare or one-of-a-kind unit. 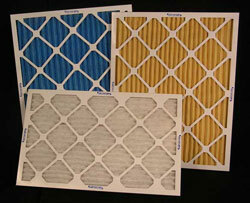 Holt Filters also offers wholesale air filters, large rolls of replacement media, and pre-cut pads. We’re happy to ship all of our products across the Southeast and even nationwide to Georgia, Ohio, California New York and beyond. Changing out the air filters on a large commercial air conditioner is a job best left to the filter service professionals at Holt Filters of Tampa Bay, Florida. Doing it incorrectly can cost you big money by reducing the efficiency of your air conditioner, boosting your utility costs, and – in a worst case scenario – damaging the very expensive unit you were trying to maintain. Holt’s huge selection of commercial air filters and decades of experience performing filter service on a wide range of air conditioners makes us your one-stop-shop for air filter service. We can examine your unit, assess which filters will make it run at peak efficiency, and schedule quarterly service to keep your machine running perfectly. Holt’s professional technicians can also help you select the right MERV filter rating for your unit, which can be a confusing task on your own. As long as Holt’s doing the job, you’ll never again have to interrupt business to worry about filter service for your air conditioner. Call or e-mail Holt Filters today for more information on our filter service and our unparalleled selection of air filters.